I don’t typically test recipes in the hopes of finding the best version of something in the world of sweets. Not much these days. Not as much as I do for savory dishes and snacks. I don’t like to keep many sweets around the house when it’s just the two of us. 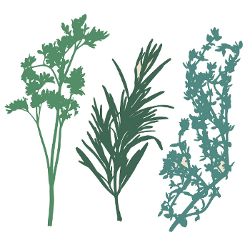 My preference is for those savory, salty, spicy edibles…except when I’ve been void of sweets when trying to be a healthier person as I’ve been consciously doing. Then I get all mmmm, cookie, get in my mouth. I don’t care about your deliciousness status (as long as I get the impression it’s above mediocre), you are sugary sweet and I want you. It satisfies that short-lived craving then I’ll avoid eye contact with the remaining cookies for lack of care about the thing, instead grabbing chips or veg with dip or slices of deli turkey or roast beef which I crave way more than I care to admit. 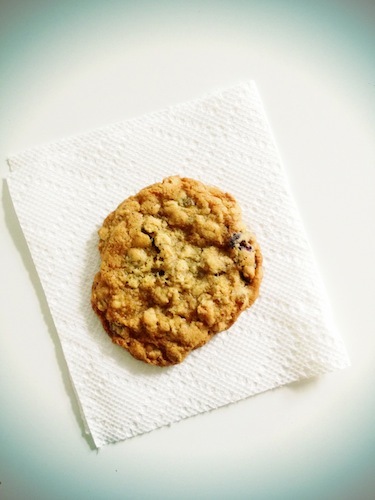 My craving this oatmeal raisin cookie happened last week. I love oatmeal raisin cookies and probably because on the list of super sweet cookies it ranks pretty low. I’ve made a variety with oats here in the past. Cherry chocolate chunk cookies (I was obsessed for months), oatmeal chocolate chip cookies (the ones at Potbellys are my standard-grab those babies at the register), salted peanut butter oatmeal chocolate chip cookies and not quite the same type of cookie but with oatmeal nonetheless, chocolate peanut butter no-bake cookies from childhood. All good, none above the others. To be fair I’d put the no-bake at the top but that’s due to sentimental reasons which have a habit of making things taste better (or give you the reaction of “why did I ever think this was good”…one of those 2 very different notions and nothing in-between in my experience). In terms of taste, these cookies were all great. So, I’m going to trust the original creator, Caroline from Whipped, who for years tested oatmeal raisin cookie recipes until she found the best version. This is it she says and dang, these were tasty. Preheat the oven to 350F. Combine the flour, baking soda and salt in a bowl. Whisk to combine. In another bowl, beat the butter and both sugars until light and fluffy, about 4 minutes. Add the eggs, one at a time, beating each until fully incorporated. Add the vanilla and stir. Add the flour mixture bit by bit, mixing until fully incorporated. Mix in the oats, raisins and cranberries (optional but increase raisins if not using them). Put the dough in the refrigerator while you prepare your baking sheets, line each with parchment paper. After about 10-15 minutes, remove the dough from the refrigerator and spoon out large scoops of dough making balls about 1 to 1 1/2 inches thick. Place 6 balls on each pan, no more so they won’t be too close together. Bake the cookies for 10-12 minutes, turn them half way through. When you remove them from the oven, the edges should be lightly browned and the inside should look uncooked. Leave the cookies on the hot pan for 10 minutes you take them out of the oven where they will continue to cook a bit firming up the center. Enjoy! These are my favourite cookies! and this recipe sounds incredible!